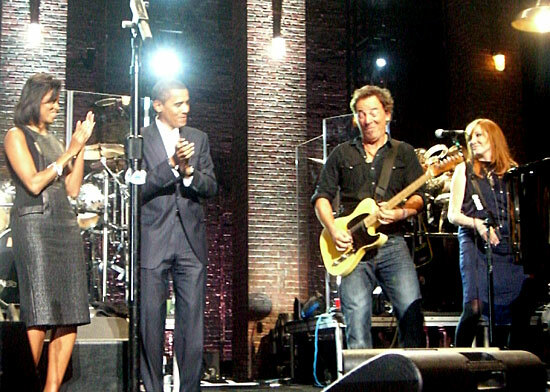 Bruce performed the song during "Change Rocks" benefit show for Barack Obama's presidential campaign . Bruce and Billy Joel do a mixture of Joel and Springsteen songs. Patti Scialfa, Roy Bittan, India Arie, John Legend were also present. 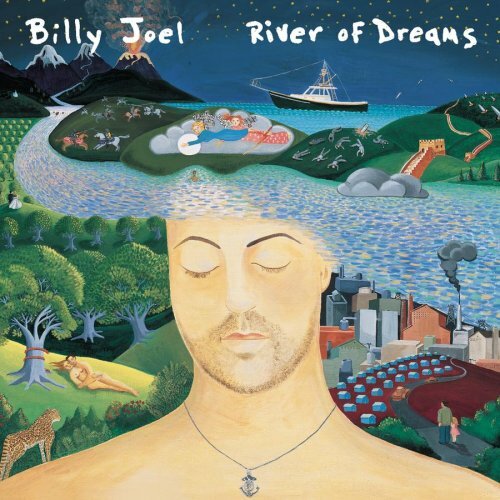 "The River of Dreams" is a song by American musician Billy Joel. It is the title track and first single from his 1993 album River of Dreams. The song was a hit, making it Joel's highest charting of the 1990s (River of Dreams was the only album he released during the 1990s). IAt least four versions of the song have been recorded and released. Two versions (released years later) include a bridge section containing a piano interlude paralleling Joel's melody from his song "Lullabye (Goodnight My Angel)," which is from the same album. These versions can be found on the boxed sets My Lives and Complete Hits Collection: 1973-1999 - but even these versions differ from each other, both in length and in arrangement: one, for instance, has more percussion. A fourth mix appears as a bonus cut on the UK CD single of "River of Dreams" — the "percapella mix" done by Nicolo.